In November, Tiffany from Boho & Blush was my featured blogger. You can read that post and see other past featured blogs under the "blog of the month" label! Being my blog of the month gets you a designated blog post, a sidebar button, and a mention on my Twitter account. The sidebar button stays up all month long. I don't believe in necessarily making bloggers pay for advertising and I'd much rather show you blogs that I really enjoy reading. And I hope you end up enjoying them too! 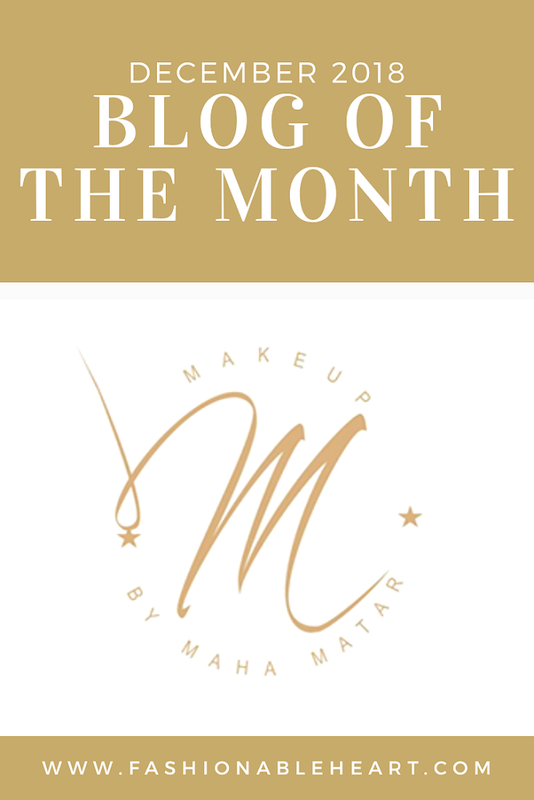 This month, I've chosen Maha from Makeup by Maha Matar. This girl has skills and I honestly feel like her blog needs more attention! If you love beauty, you will absolutely enjoy her content. One of her latest posts talks about Wet n Wild and a few products that she has been trying out and it has me tempted to grab one or two! I hope you swing over to her blog and give her a follow. Feel free to let her know I sent you! Another year of featured bloggers goes down in the books! You can check out the label to see who all were featured this year and years past. Some have stopped blogging or gone on hiatus, but there are plenty still going strong that deserve a view or two...or many!